Visit our picture gallery – a small sample of the stickers and products we have manufactured in the past. Are you looking to get your vehicle wrapped or have stripes put on it? Made to customers specifications, these whiteboards include full colour printing, graphics and a special dry erase film to protect the print. The boards are commercial quality Australian Made in Brisbane and to the size required. We offer customisations such as pin-board areas, magnets, clips, brochure holders and any ideas you have. Our large format digital printing has capabilities to print up to 1500mm wide dependent on the media we stock. We use the latest industry standard CMYK Roland printing equipment with genuine inks. We believe our combination of equipment and stock is far superior to many of the other vinyl print suppliers. Our work-flow includes the latest in the Adobe Creative Suite and our print RIP software accurately prints designs created in modern software. Since 2003 we have been making stickers for Cars, Vans, Shops, Homes, Utes, Trucks, Boats, Motorbikes, Businesses, Individuals and much more! Great way to advertise your business, our magnetic vehicle signs are custom made using quality 0.8mm magnetic material printed with high quality UV inks that will last for years in the Australian outdoors. Suitable for steel surfaces such as cars, truck and machinery. Our Magnetic Vehicle Signs are a great way to advertise your business part-time. Easily fitted and removed, your vehicle becomes your business car when the magnetic sign is applied, and returns to a private vehicle upon removing them. Letters for most applications from indoor walls to outdoor use such as buildings & vehicles. From tiny lettering for labels to large scale letters for signage. Our stickers and signs are made with professional commercial grade self-adhesive vinyl, we have no minimum quantities – our stickers are UV stable, waterproof and suitable for indoors and outdoors. Pinstriping Tape and Rolls Our quality pinstriping tape is made from European vinyl that is produced from premium materials. Rated to 10 years outdoors and looks excellent on all types of applications from aircraft to bicycles to whiteboards. Our pinstripe isn’t the cheap stuff that fails within a few months and is designed to be used outdoors and indoors. We have a good range of colour and size combinations with sizes ranging from 3mm wide up to 150mm, these pinstripes are supplied on rolls and have an application tape applied over the stripe to assist with the application of the pinstripe. Made from premium cast vinyl, these stripes can conform to various curves and compounds, the thinner stripes can be curved to create arcs as the premium cast vinyl has properties to assist in this type of conforming. Australian based business with delivery to anywhere in Australia. 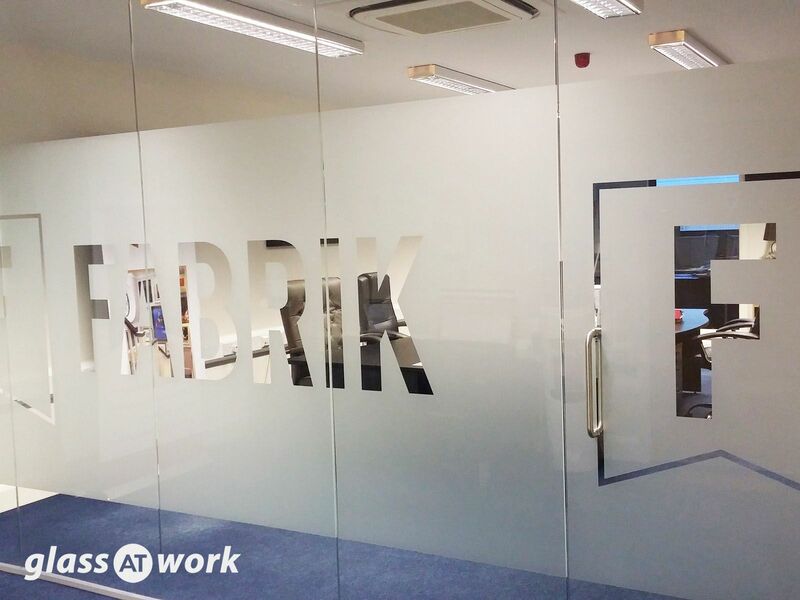 Our custom cut vinyl graphics are made using quality self adhesive vinyl and suitable for a variety of applications indoors and outdoors. Marine, automotive, interior decorating, commercial, domestic – we have a range of different vinyls. Brisbane Stickers is a proudly Australian family business offering budget prices and fast service. Decorate your world with stickers – small labels to large format stickers, we’ll get you covered! Can I get a sample? Yes we have samples from previous orders or we can print a small sample of your artwork. Are the stickers waterproof? Yes. We print using Eco Solvent UV inks and a quality Polymeric outdoor vinyl. Manufactures say they should last up to 5 years outdoors. Can I Collect? Yes we have free customer parking. Collect is the first option for shipping once you are in the shopping cart. Can I upload multiple files to print at the same time? Yes, so long as the stickers are the same size and you want the same quantity off each one. EG you can order 100 copies of 5 stickers and place 500 in the quantity box. Do I need to add laminate to my stickers? No but the ink can be scratched and laminate will protect your stickers from being scratched. Do you offer Cut out Stickers? We call then Vinyl Cut Lettering, but we can do shapes as well. Some files are not suitable for this process, so please email your file to us and we will send you back a quote. What is multiple stickers to a sheet? We cut each sticker and supply them all on a 1.5m wide roll. This is the least expensive option. But if you want to hand each sticker then you need to select Cut Individually. How many stickers can I get printed in 24 Hours? Best just to give us a call to check but up to 500. Can you cut stickers into shapes? Yes we can. we just need you to supply the cut line. If your not sure how to do this please send us your file and we can price that for you. Our Mission: To provide you with Quality Products and Quality Service. 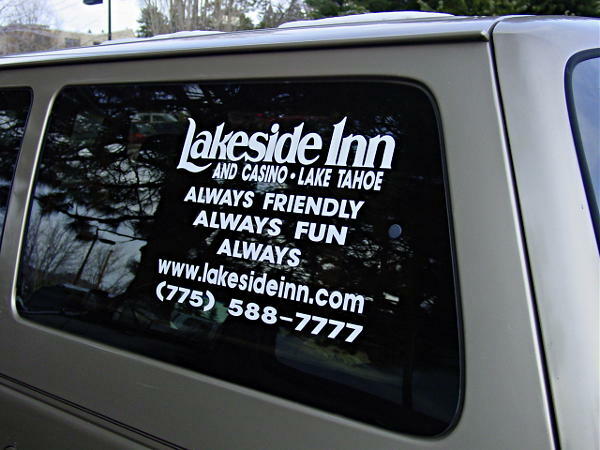 Vinyl cut lettering is popular on cars and for signage on doors and windows. Your image is cut and all of the background is removed. We then add a front tape that holds your image in place. Not all artwork is suitable so we ask that you email your artwork to us for a quote. Laminate can be added to vinyl stickers to make them scratch resistant as well, however this is not affect the longevity of the sticker. We make a variety of signs to suit advertising from buildings to vehicles. We supply do-it-yourself or if you’re in the Brisbane area we can install for you. Plus, any other place that you can think of that has a Post Office to dispatch the stickers, we also welcome International Orders. 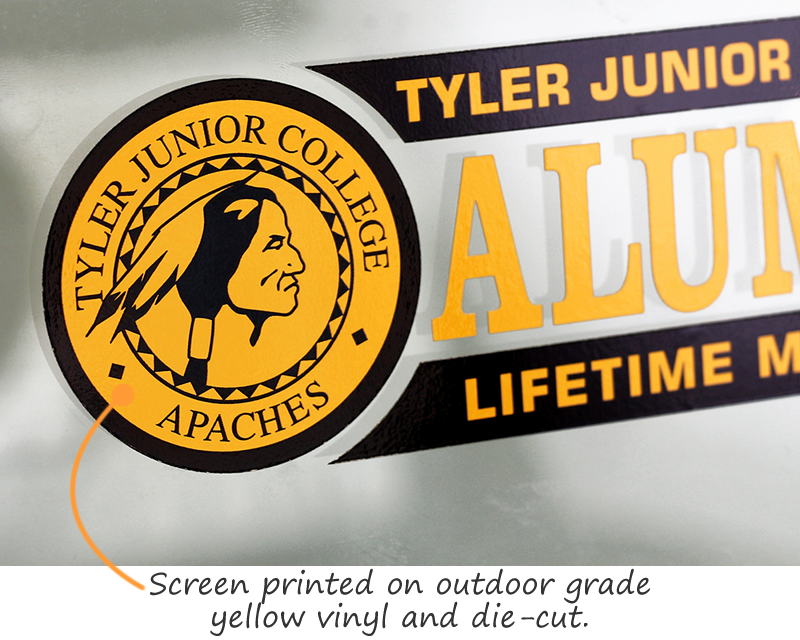 MULTIPLE STICKERS TO A SHEET: Only the vinyl is cut – we remove the unwanted vinyl to leave only the printed and/or cut vinyl that you need. These stickers will be provided altogether on one sheet. 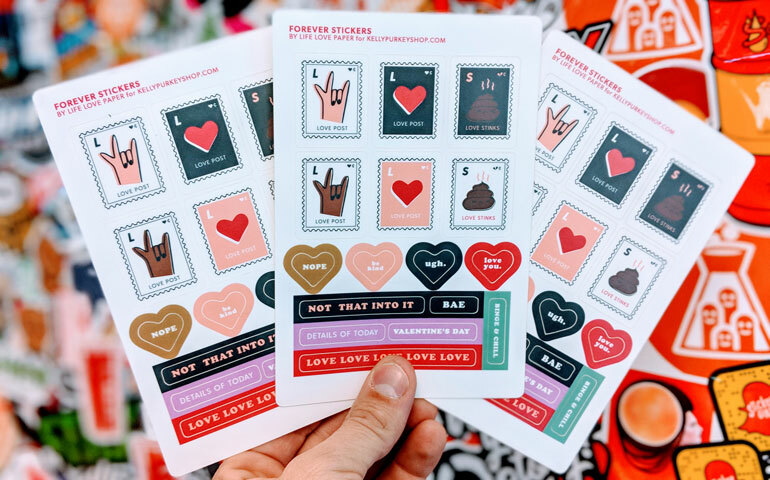 This is the cheapest option EACH STICKER CUT OUT INDIVIDUALLY This option includes a kiss cut, but also adds a cut that goes right through the backing paper. This allows you to have your stickers supplied individually. It’s perfect for bumper stickers or any stickers that you plan to distribute individually. 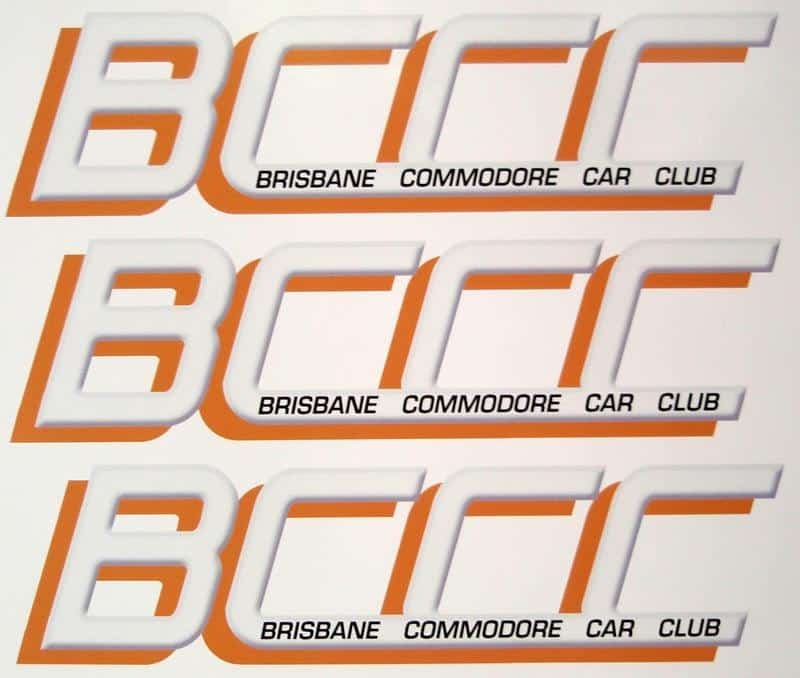 ePrint offers quick, easy and affordable printing of custom printed stickers in Brisbane. As well as our custom-made products, we also offer pre-set shape options including rectangular or oval, and circular or square. We supply to anywhere in Australia but if you are in the Brisbane area we can install as well. Full colour printed stickers with no minimum quantities. Made to size and custom shape for all sorts of things from small labels to graphics for vehicles, general stickers for individual and commercial uses. YES! 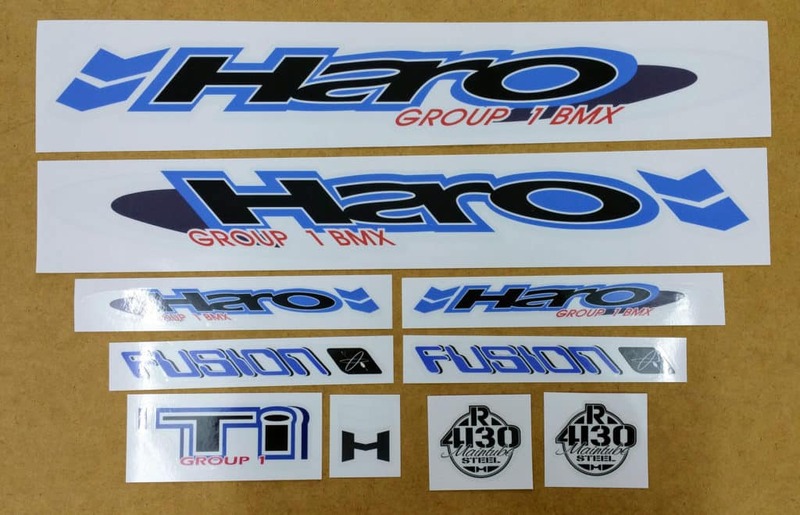 We have samples of previous sticker orders that you can test. Contact us to tell us the type of sticker sample you are interested in. We make Custom Stickers, Decals & Signage for Cars, Vans, Shops, Utes, Trucks, Boats, Motorbikes, Business, Individuals and lots lots more! We are a proud Australian Family Business offering budget prices and fast service. We provide excellent quality Stickers and specifically produce high-quality Vinyl Stickers (indoor/outdoor), our clients include Universities, Schools, Art Galleries, Mining Companies, Small Business Owners plus many other satisfied clients. Email through your sample by Pdf or Jpeg, we will send you back a quote and proof of confirmation – prior to printing your order. Sales and sticker distribution is available Australia wide and International inquiries are welcome.